Tho shocking truths about menstruation and menstrual hygiene among women need to be addressed. Suddenly, it is raining blood as everyone is talking about It. The M-word in the life of every woman. You got it wrong if you thought Marriage or Man. Menstruation is what this is about. In our country it began with an unholy attack on traditions that kept menstruating women from temples. Activists argued that it was a natural phenomenon and not something dirty or unclean. After all, that was nature's way of preparing a woman for child-bearing. Not all are buying that argument though. The discourse soon turned into how it was time to bring yet another fact of life out of the closet, and make men more sensitive to the monthly event and not treat it as a stigma or shame. Celebrities pitched in and began talking at events they were invited to. The latest is a radio jockey (RJ) in Kerala who addressed a college audience and spoke of his own discovery of the whispered word. And then there is Pad Man, the Bollywood movie whose trailer has been winning public approval. Based on the real life story of Arunachalam Muruganantham, who set out to make low-cost sanitary pads for women after seeing women in the family use unhygienic rags, the movie is sure to open the door a bit more. It is only one out of 10 women in India who can afford sanitary pads, according to an AC Nielsen report. Most others make do with cloth rags. 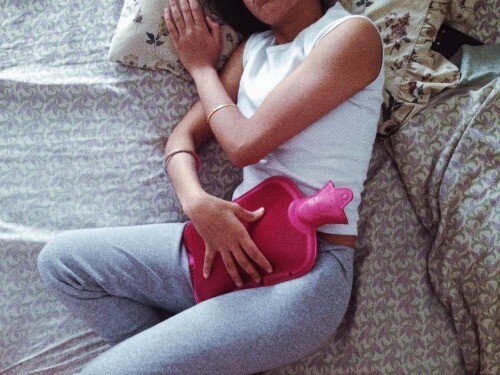 Worse than the discomfort is the stigma attached to menstruation. Eco-femme, an organisation working with rural women in India, still encounters horror stories of women made to sleep on the porch when menstruating! Many girls give school a miss during those days. Abroad, the situation is only slightly better in developed nations in terms of physical comfort, but worse in the rest. News reports from Nepal said a girl died from suffocation after sleeping in a shed during her periods. In poorer nations of Africa, the situation is pathetic with girls having to use leaves to contain the bleed and hide in the bushes. 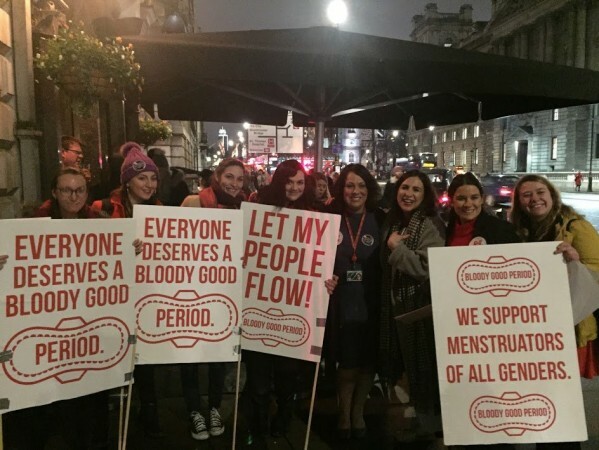 According to the charity Plan International, in Australia a survey showed that seven out of 10 women felt uncomfortable talking about periods with male workers and a majority confessed to feeling ashamed talking about the subject to their female teachers! The charity launched a campaign seeking a "period emoji" to break the silence and shame around menstruation. Children today are more aware and prepared than a few decades ago, when I remember waking up to a pool of blood in bed and panicking it was my last few days on Earth! But what has been missing is an open discourse on the topic, to bring it out of the closet of shame and sin. Most of us women still hide a pad or tampon when rushing to the toilet on sudden discovery. Everyone knows what the sudden dash is about but no one talks about it. Most of us avoid lighter shades of clothing as the dreaded date nears. Breaking this taboo around menstrual bleeding, Canadian artist Rupi Kaur took the bold step of posting pictures of her stained posterior as part of a project. Instagram removed it twice. She was trolled by men but she didn't give up and went on to post in FB till Instagram apologised and put the images back. Taking it a step ahead are feminists who campaign for "free bleeding" or "not making a drama of the monthly period" and having to wear pads, etc to avoid others' discomfort. Kiran Gandhi ran the London Marathon in 2015 without using any pad or tampon, displaying bloodstained leggings. She said the run was "for sisters who don't have access to tampons and sisters who, despite cramping and pain, hide it away and pretend like it doesn't exist. I ran to say, it does exist, and we overcome it every day." Only with awareness and openness will there be a demand for a hygienic and sustainable means of collectibles and disposables. It is well known that many pads and tampons come with health issues including cancer, thanks to the chemicals used. Menstrual cups and cloth pads are being touted as a safe and environmental friendly option; the cups are costly but can be used for 10 years, but could take time to get used to. Besides the health and human rights aspect of access to safe options, the other issue around menstruation is the colossal waste being created. In India, it is reported that an estimated 9,000 tonnes of sanitary waste is generated annually. Much of this ends up strewn in landfills or burnt in incinerators that release toxins into the air, largely because it is not done according to WHO recommendations of desired temperatures. Recently, a group named Aakar announced eco-friendly and fully compostable pads under the brand name of ANANDI. Pads made of biodegradable matter like plant fibre developed by students made news too as low-cost and sustainable, but do not address the waste issue. How do we control the soiled pads — compostable or not — from cluttering our open spaces? That is where the cups and cloth pads again come in. Things are changing, at least in the cities. Advertisements for pads are slowly switching from "blue" to red blood. The Gen Y talks freely about cramps and moods and period flows with male friends. But it will be some time before a nationwide campaign like the one for toilets will speak about the M-word. Perhaps as the subject gradually steps out into the open, and we have more free discussions and research taken up, we will have a solution that fits in with both environment imperatives and a woman's right to comfort. But for now, a large majority are still silently and shamefully battling out the cramps and emotional swings accompanying the monthly bleeding. And pretending nothing's amiss.